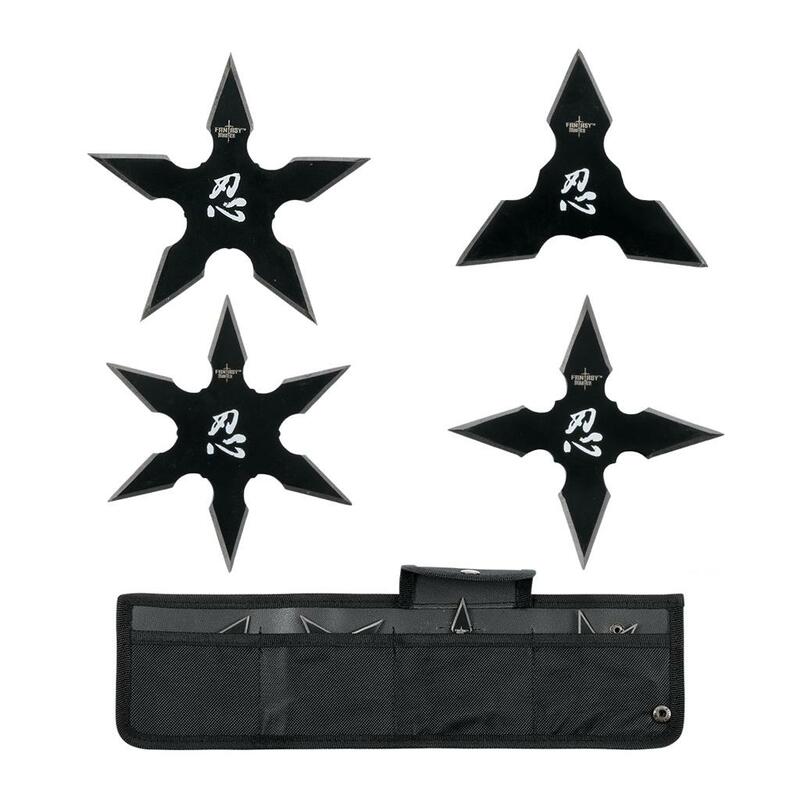 Each throwing star in this set of four features a slightly different shape; however, all are sharp, pointy, and approximately 3" in diameter. They're made from stainless steel with a black finish to give them that air of elusiveness. 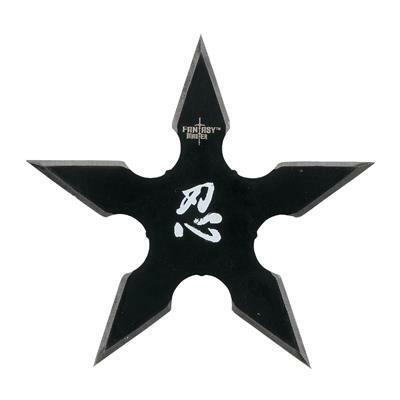 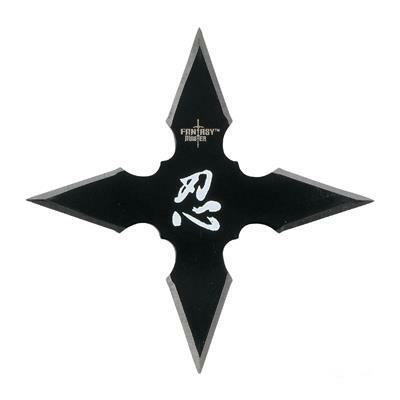 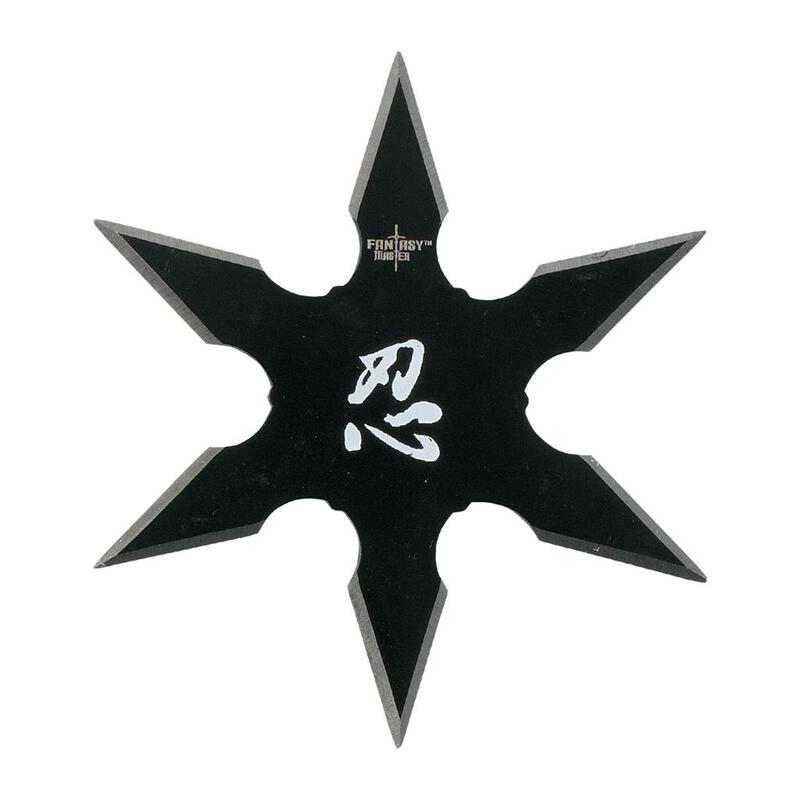 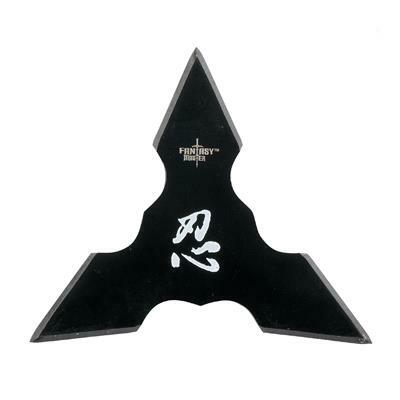 The kanji on these shuriken is one of the main symbols used for writing "shinobi" or ninja. 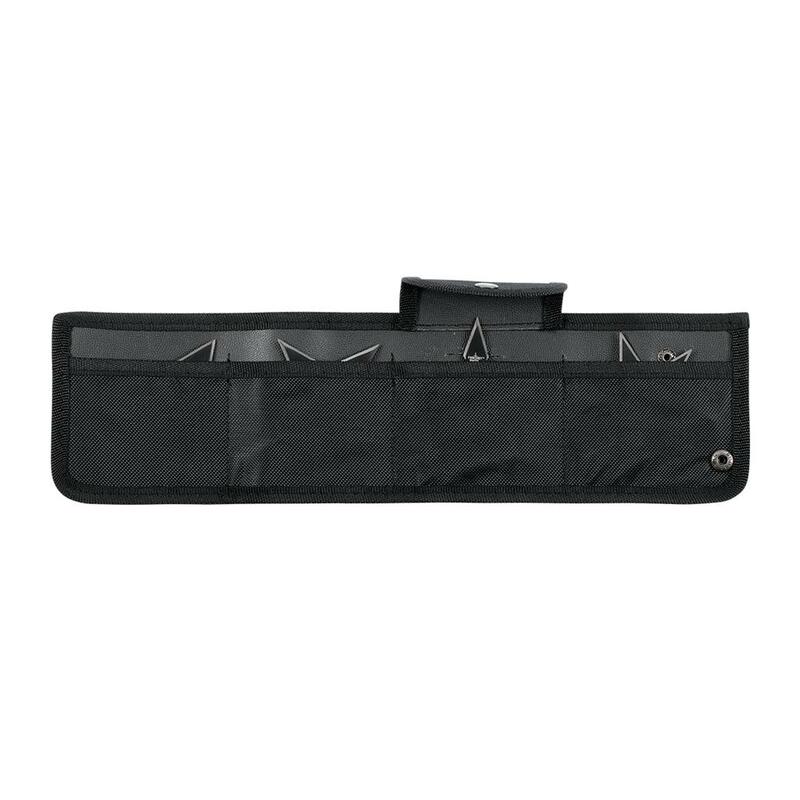 A nylon sheath is included for storage and carrying.